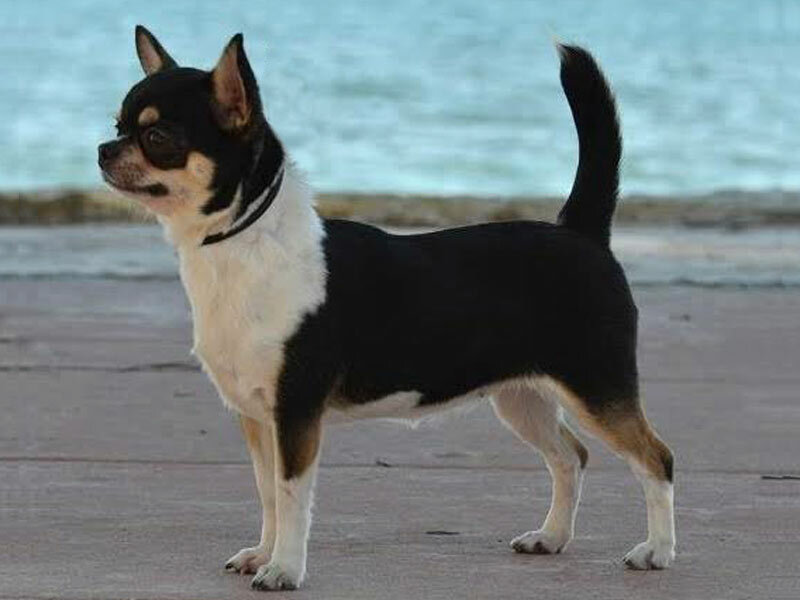 are very similar to the present day Chihuahua. feet fit directly into those of the front feet. With increasing speed, the limbs show a tendency to converge towards the median plane (single track). Movement remains free and springy without visible effort, head raised and back firm. Weight : Ideal weight : between 1.5 and 3 kgs. Weight between 500 gr. and 1.5 kgs tolerated. Subjects weighing less than 500 gr and more than 3 kg shall be disqualified.